Sir Denis O'Connor, the Chief Inspector of Constabulary, has today delivered a blunt assessment of the fight against the “disease” of anti-social behaviour. Sir Denis O’Connor, the Chief Inspector of Constabulary, has today delivered a blunt assessment of the fight against the “disease” of anti-social behaviour, accusing the police of “retreating from the streets” and allowing the problem to “fester”. In response to this inertia, a demoralised general public vote with their feet, with just a quarter of the estimated 14 million actual incidents of anti-social behaviour in the past year getting reported. Yet these still accounted for 45 per cent of all calls to police – one call every 10 seconds. Sir Denis blasts forces for “screening out” too many anti-social behaviour calls and for tolerating a damaging “degree of normalisation” around drunken behaviour and vandalism that should not be accepted. 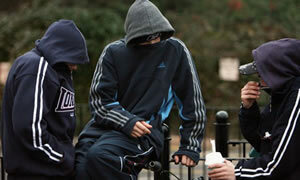 Yet two thirds of forces failed to properly record people who have suffered repeat cases of anti-social behaviour. And it is the most vulnerable who suffer from this hands-off approach. The report finds 29 per cent of those who called police over anti-social behaviour last year had a long-term illness or disability and almost half of people surveyed had changed their routines through fear of anti-social behaviour, by avoiding certain streets or not going out at night. The report makes clear that it is the police who are bang to rights for failing to take a proper lead on anti-social behaviour. Stronger, more direct accountability in the shape of elected police commissioners may help to sharpen their focus on the public’s priorities, but this is fundamentally a question of resources. Earlier this year, Sir Denis revealed that an average of only 11 per cent of officers and police community support officers (PCSOs) were able to meet frontline demands at any one time. Yet people in terrorised communities want to know the blue lights and sirens will back them up, first time, every time when they report these incidents. O’Connor says there is no substitute for “feet on the street” but the Police Federation earlier this month claimed that eight forces have already announced plans that will see 3,500 officers scrapped. In the West Midlands force area, that equates to 10 per cent of the total, some 1,000 officers. So there is a big gap between the reality – according to ACPO – about what can be achieved and between O’Connor who is suggesting what must be achieved to address anti-social behaviour. Big Society rhetoric about working with communities, more direct accountability to the public and an internal cultural shift in police thinking are all needed, but, ultimately, tackling ASB is about deterrence and rapid response; both of which require adequate resourcing that will not be forthcoming amid the government’s cuts. So despite the Inspector’s searing critique of the current strategy, our war on anti-social behaviour will continue to be waged without the troops and equipment needed to win it. Kevin, in my view, short of helping to solve the problem, the elected police commissioners could in my view make the problem worse by taking further resources away from frontline policing. When we were discussing this back in summer, I pointed out how, according to the Local Government Association, the cost of these would be equivalent to 700 police officers. The truth is this policy is just reinventing the wheel; we already have police authorities that are made up of a combination of locally elected councillors and independent members. And it is reinventing the wheel at the expense of frontline policing. I think commissioners will help to shape an approach to policing and address ASB along the lines that Denis O’Connor recommends. His report is a fantastic read. Not often you can say that for a regulator’s publication, but its brimming with intuitive common sense. The bottom line is that the police think anti-social behaviour is a second order issue and don’t take it seriously. No political axes can be ground; all parties are to blame. They all sit on police authorities raking in expenses for achieving no discernable impact on either the direction or performance of police forces. Just think what decisions your local authority would make if there were no councillors chirruping up on behalf of the punters. O’Connor draws the useful distinction between “what causes harm in communities, rather than what is or is not a ‘crime’”. Suspect this subtle observation about preventing ‘harm’ to our communities will enter the political lexicon. This is where local authorities can add enormous value with a more meaningful approach to youth outreach and resolving neighbourhood disputes. Unfortunately these are always bridesmaid services and don’t get the priority they deserve. After giving credit where credit’s due to Teresa May for feeling the collar of the Old Bill and their antediluvian approach to organisational management and performance, Alan Johnson deserves the laurels today for pointing out that the scale of cuts being talked about across the country will make delivering on this agenda nigh on impossible. If we could amalgamate the right approach to reform with the cash to do it we might just get somewhere. Unfortunately though, I return to the point that the very cuts Jonson is highlighting are being in my view exacerbated by the Commissioners policy. The councillors who sit on these authorities are already answerable to their constituents, and in their authority capacity I believe they are answerable to the council itself. And these authorities maintain a balance between these and expert views. so this, in my view, is not needed. I apologize for repeatedly making this point, but that’s what my view is. I think we may have to agree to disagree on it. The report tells us a lot that we already know. But it is the gaps within it that should provoke us into recognising the complexity of this issue. From the lack of a clear definition; to the blurring of perception and reality; to the abject failure to consider a youth perspective on these matters; in sum, it seems pessimism is the order of the day (wherever one is on the political spectrum). Where is the creative thinking; without it the few but signiicantly interesting dimensions of Big Society will wither on the vine. See http://www.graemetiffany.co.uk/?p=383 for an attempt to think anew.